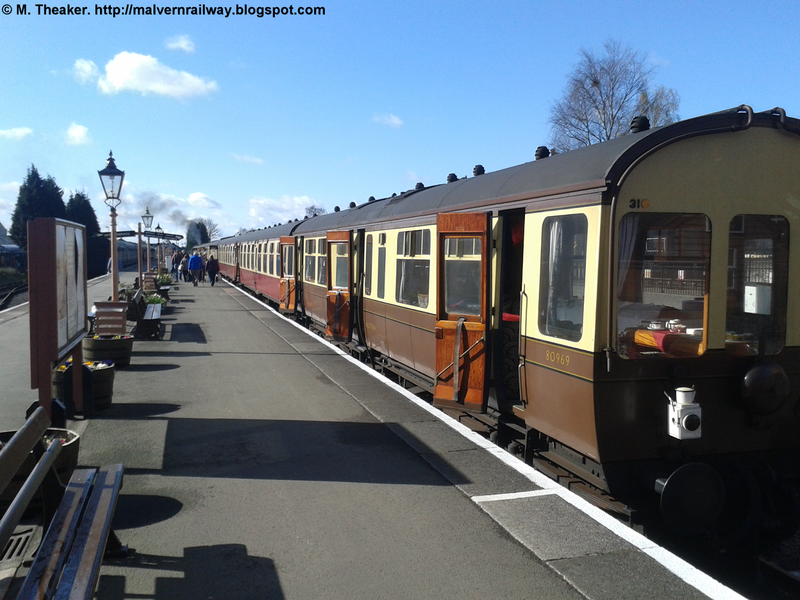 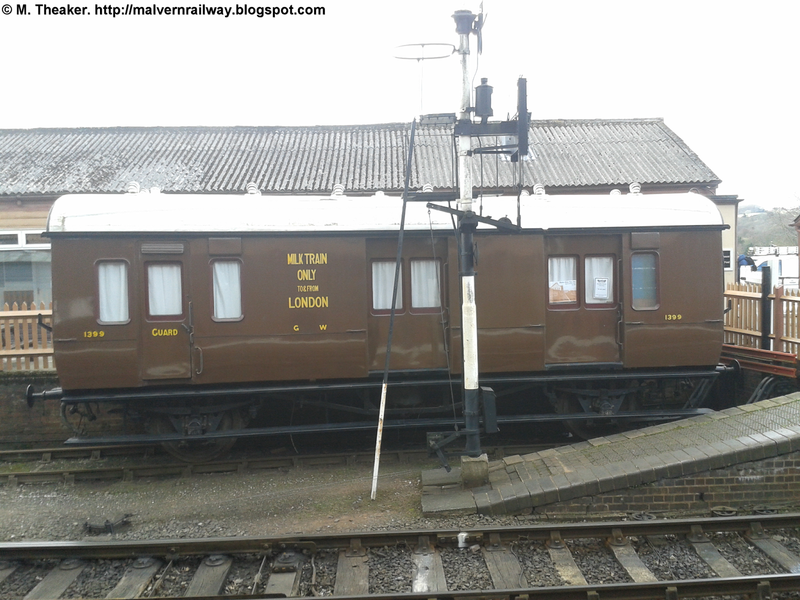 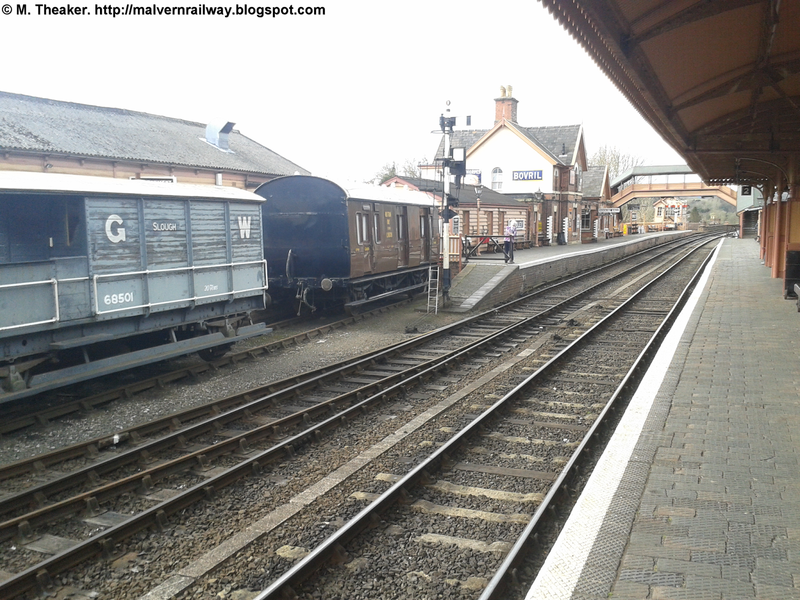 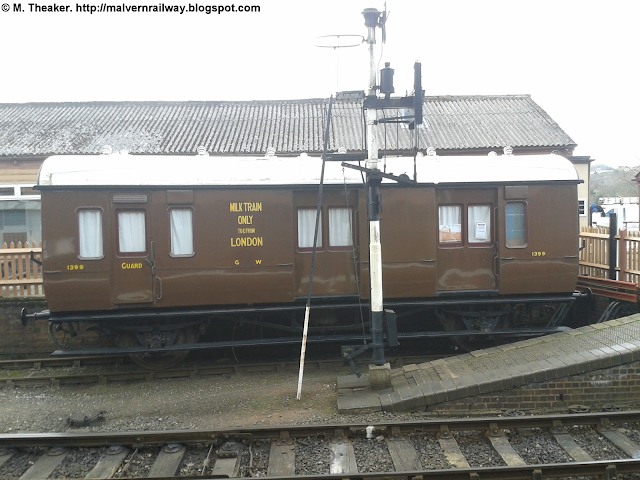 A slightly change from our usual programming this week as we look at Bewdley station on the Severn Valley Railway. 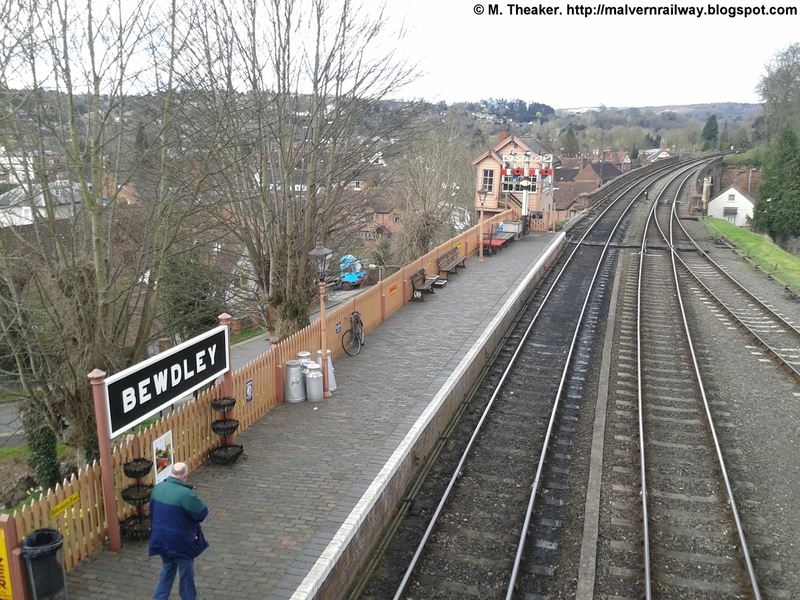 Bewdley station opened in 1862, although the line connecting it with Kidderminster was not opened until sixteen years later. The station was hit by the rationalisation drives of the early 1960s, before closing completely to regular traffic in 1970. 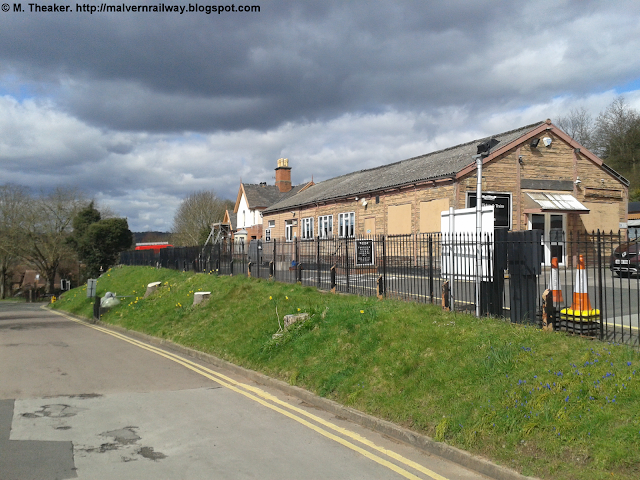 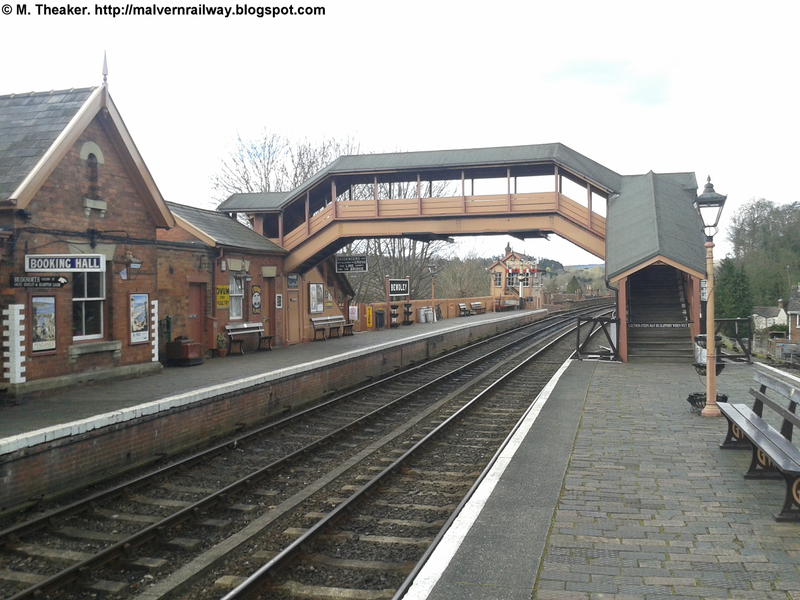 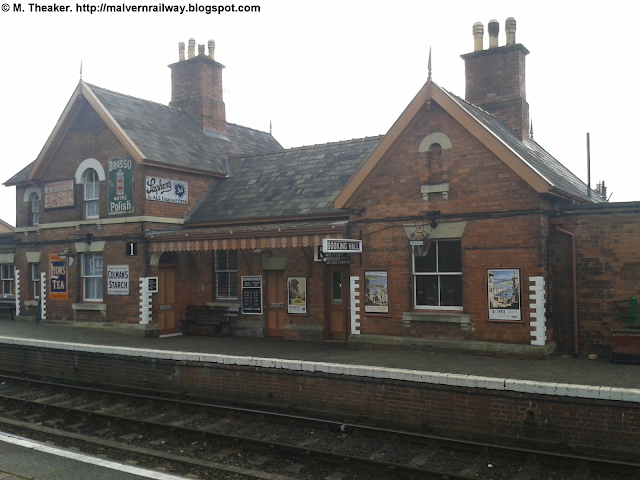 Happily, the station only remained derelict for a few years as volunteers from the Severn Valley Railway were able to expand their existing route from Brignorth to Hampton Loade (operational since 1970) to Bewdley in 1974. The extension to Kidderminster was then added in 1984, completing the route over which the SVR currently presides. 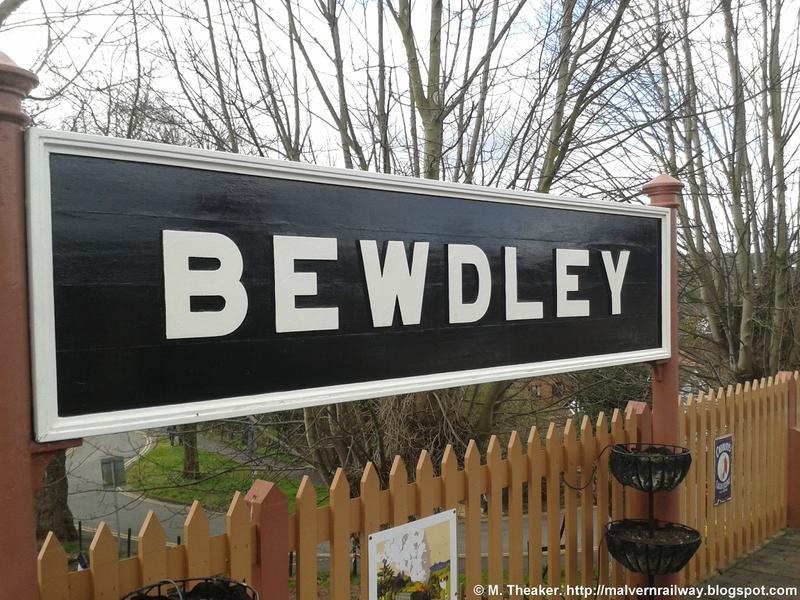 Today, Bewdley is a popular tourist destination and the station remains a wonderful time capsule of a small Worcestershire station during the age of steam. 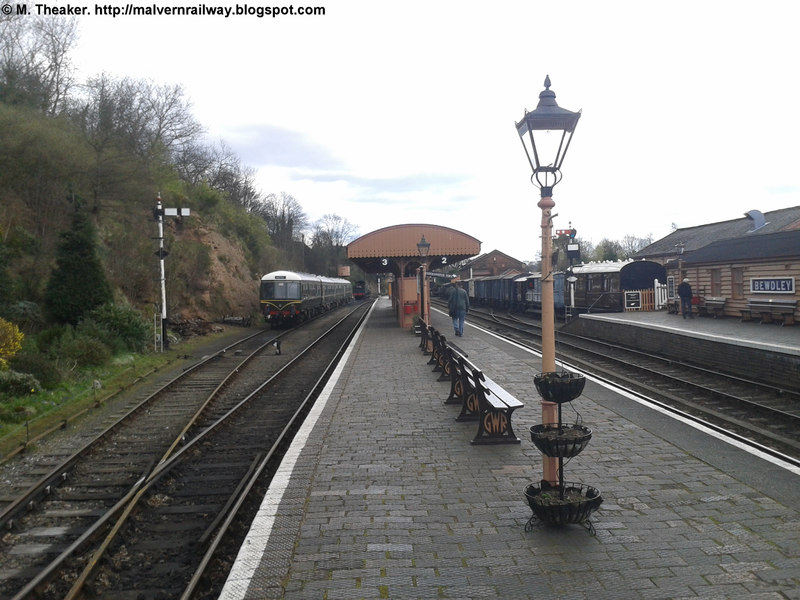 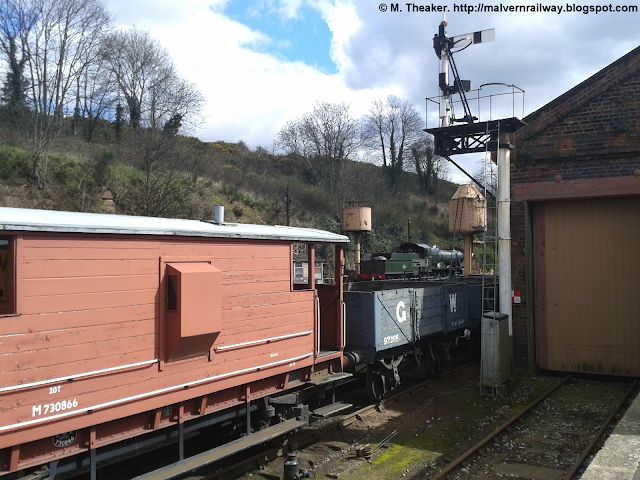 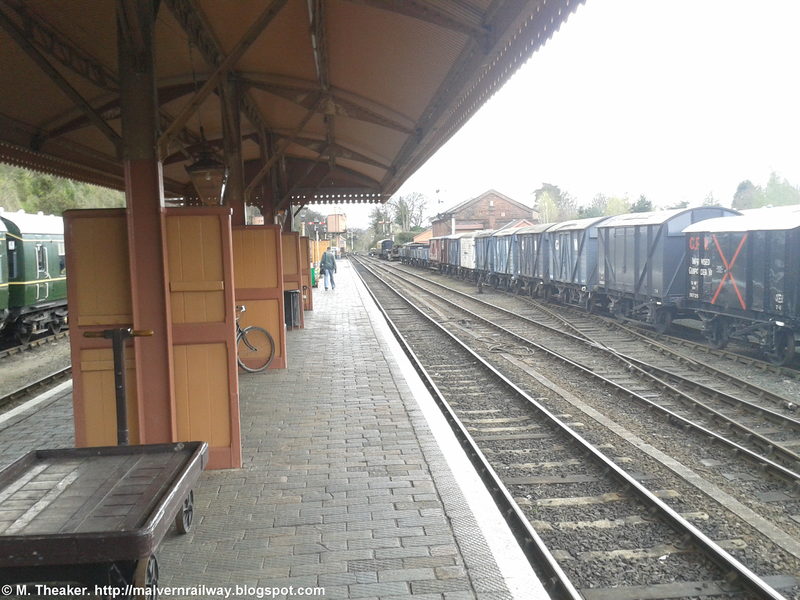 I visited the SVR in early April 2016, and took a short return trip to Bewdley for the afternoon. The train was pulled tender-first by 34053 'Sir Keith Park', a rebuilt Battle of Britain 'Pacific' class that was sent for scrap at Barry in 1966 before being passed around a succession of collectors for the next three decades. 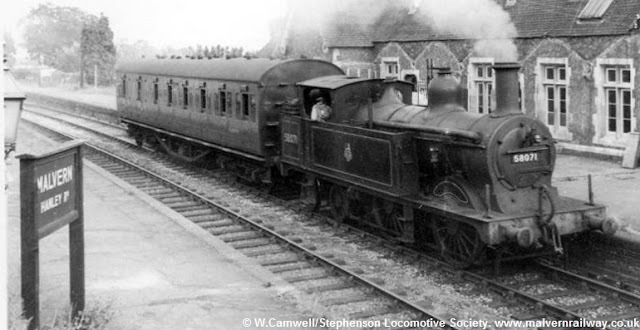 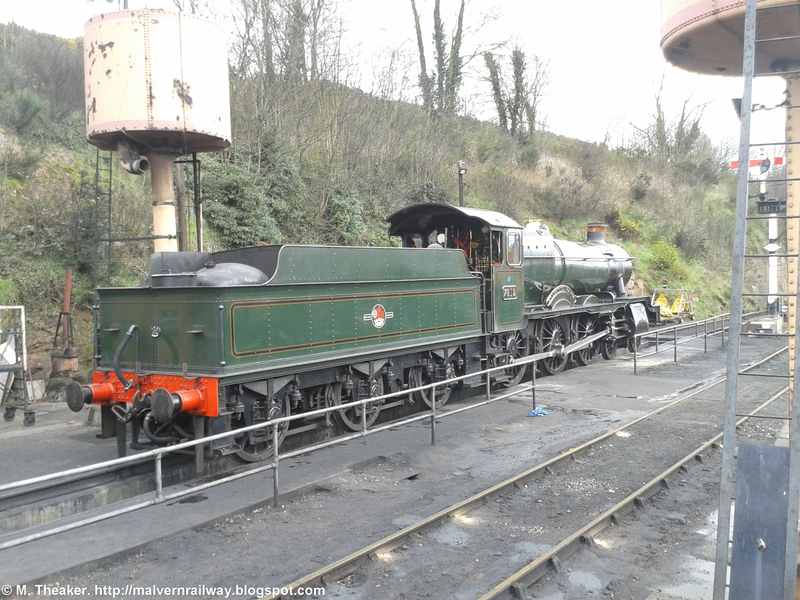 The locomotive was finally restored by Southern Locomotives (the full story can be found at their site here) during the early 2000s, and Sir Keith has been on duty at the Severn Valley Railway since summer 2012. 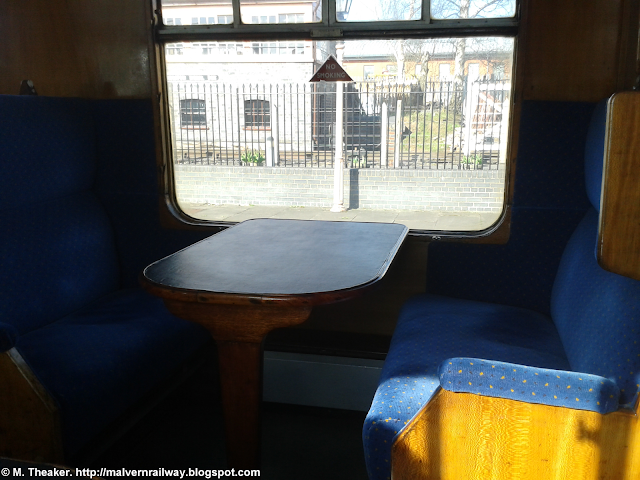 My seat for the short 14-minute journey. 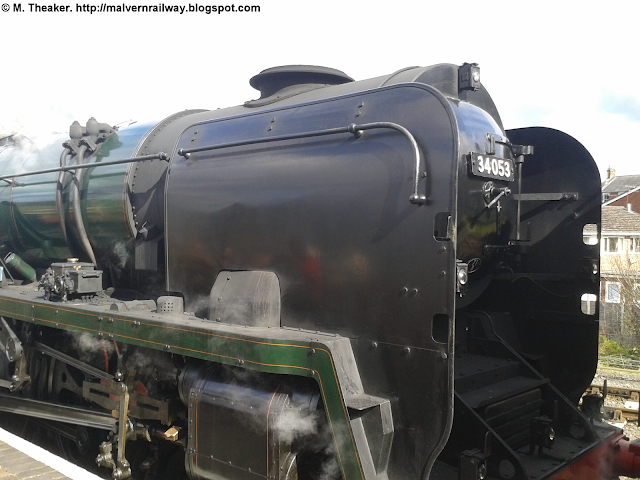 34053 'Sir Keith Park' from the front. 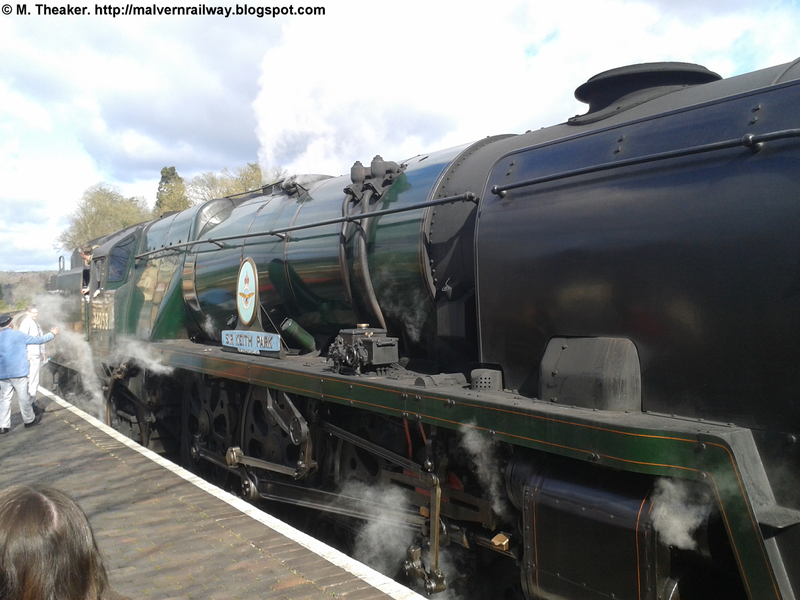 Sir Keith lets off some steam at Bewdley. 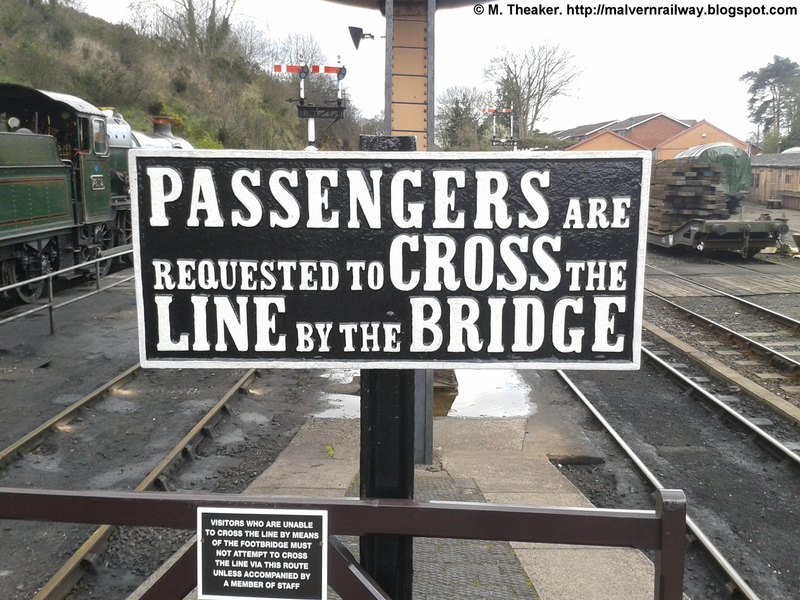 In case you weren't sure! 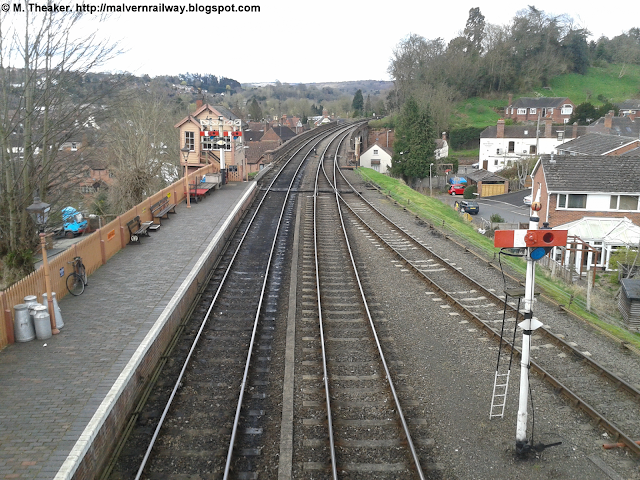 The view south from the passenger footbridge. 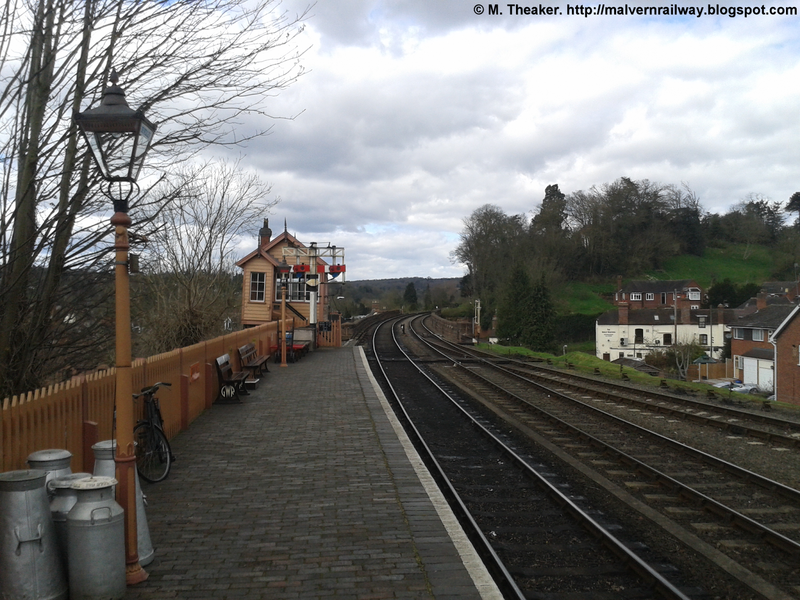 The view north from the passenger footbridge, 1/2. The view north from the passenger footbridge, 2/2. 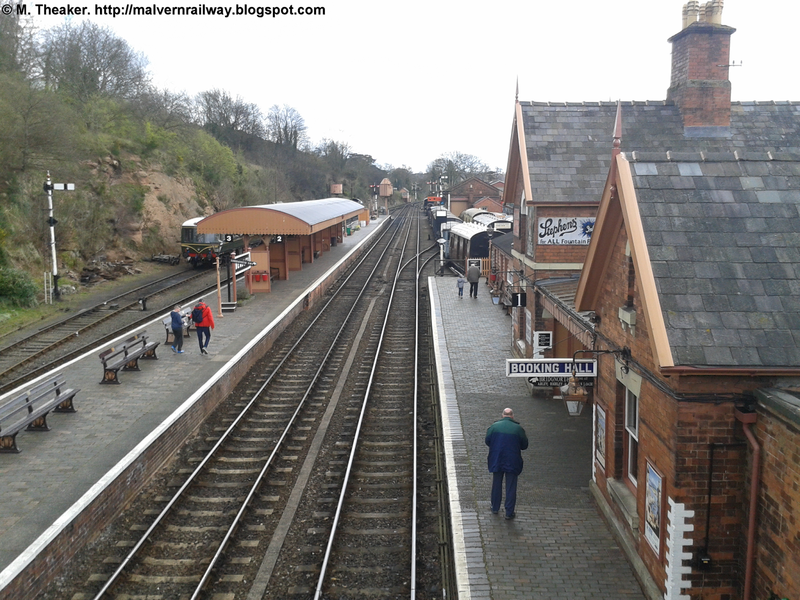 The island platform at Bewdley. 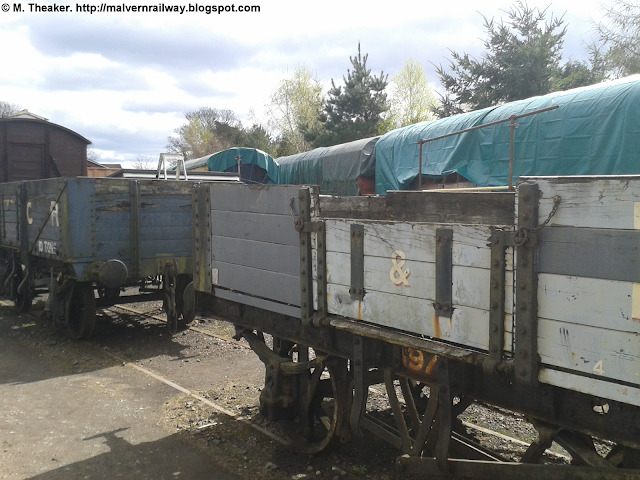 Wagons sat in the bay siding, 1/4. Wagons sat in the bay siding, 2/4. 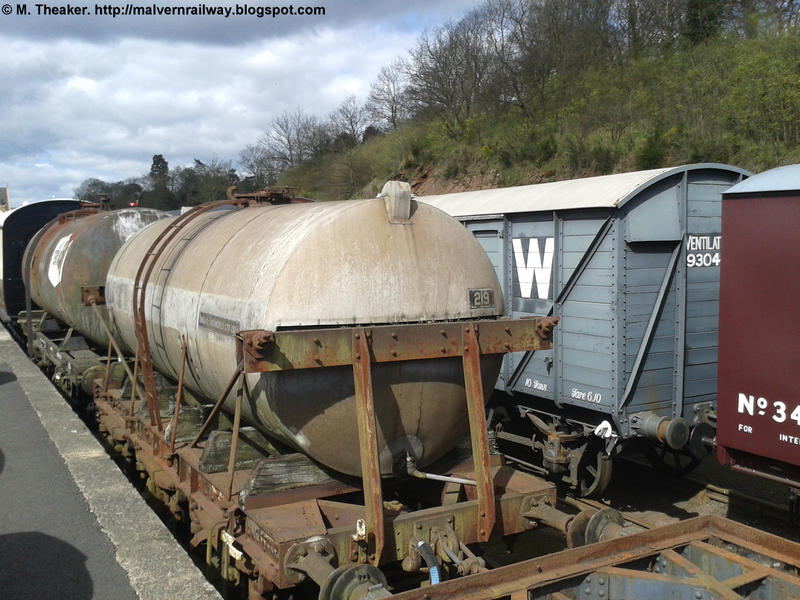 Wagons sat in the bay siding, 3/4. 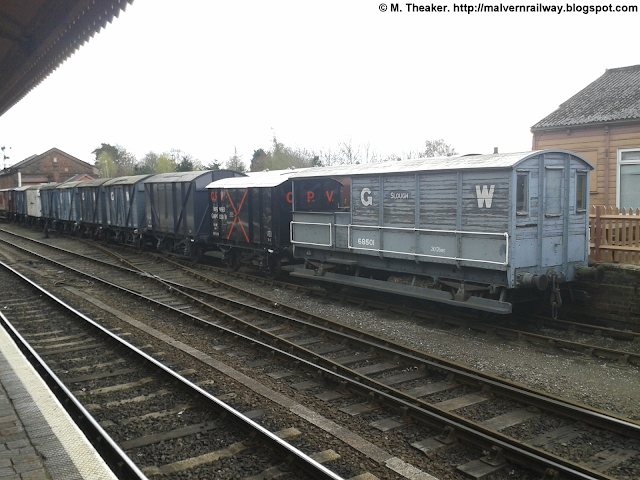 Wagons sat in the bay siding, 4/4. 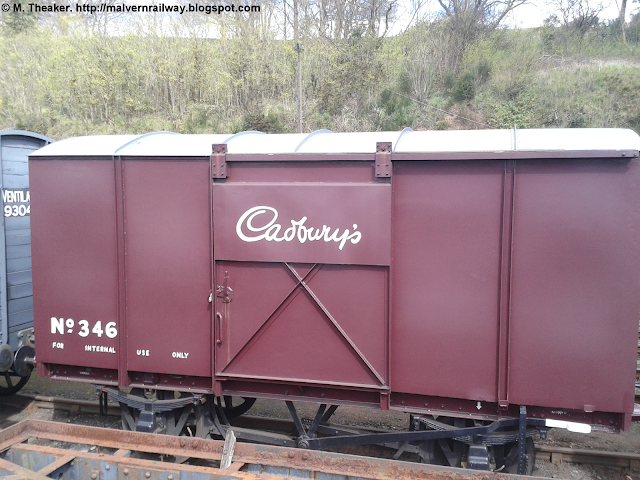 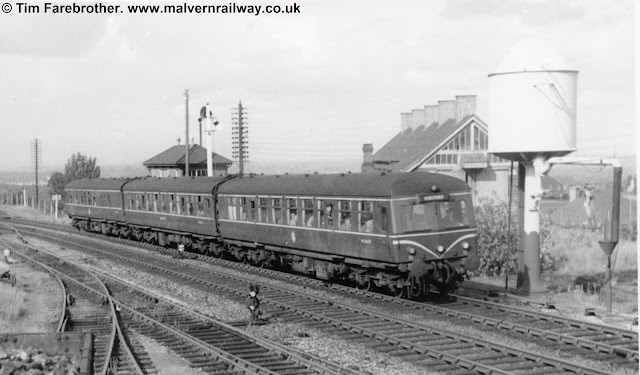 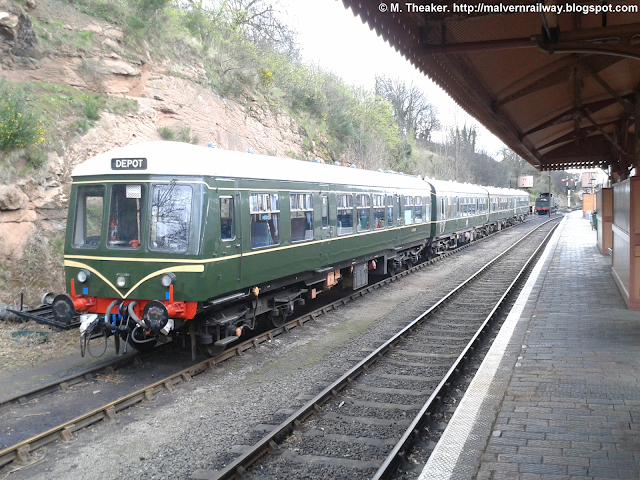 One of the five Class 108 railcars based at Bewdley. 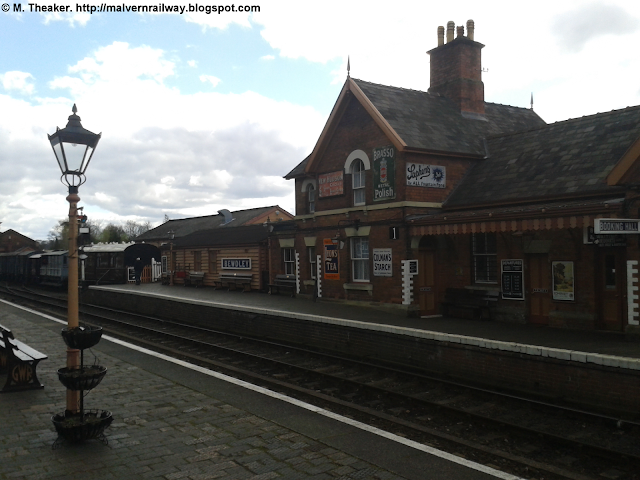 Bewdley Station from the outside. 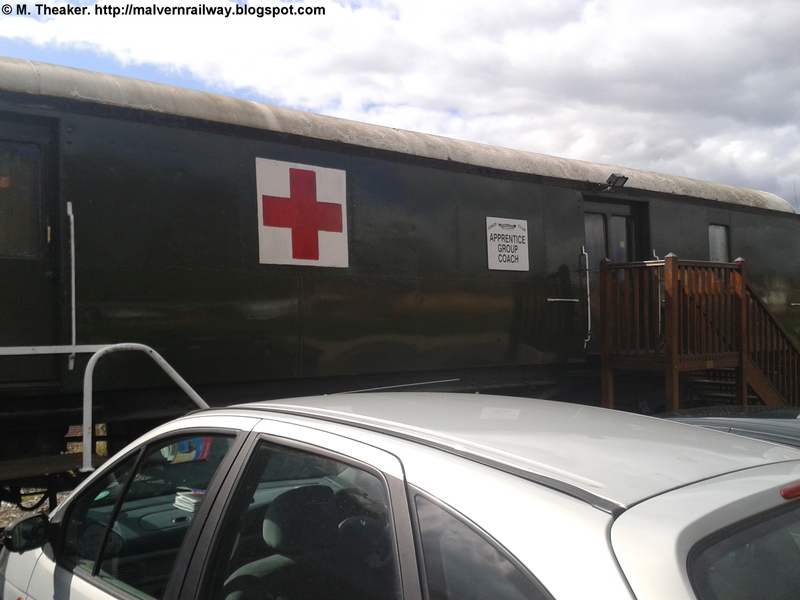 The ambulance carriage now in use as a classroom. 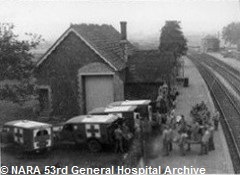 Thanks to recommendations from several people who have commented on my site in the past few months, I've recently been reading two excellent books on the history of American hospitals in Malvern during the Second World War. 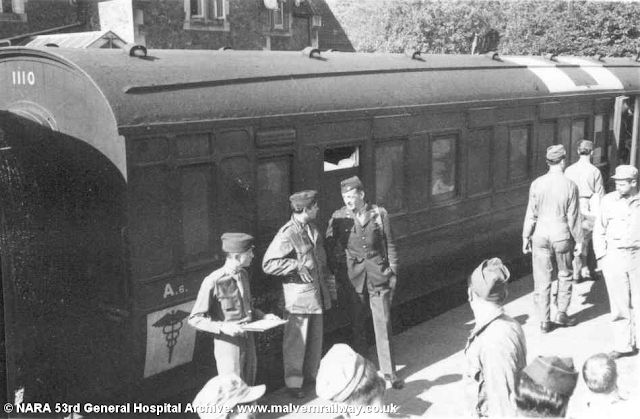 Written by husband-and-wife duo Frances and Martin Collins, the books tell the tale of how medical teams were recruited in the United States before being sent to England to look after GIs returning from field hospitals in France. 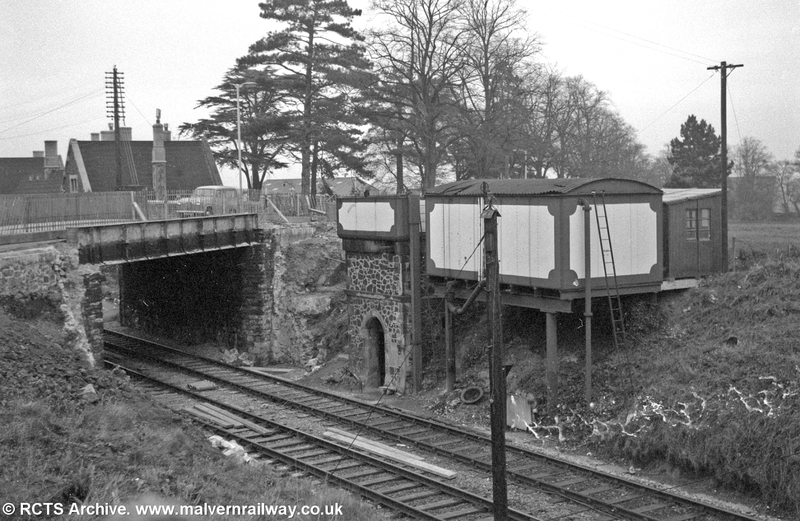 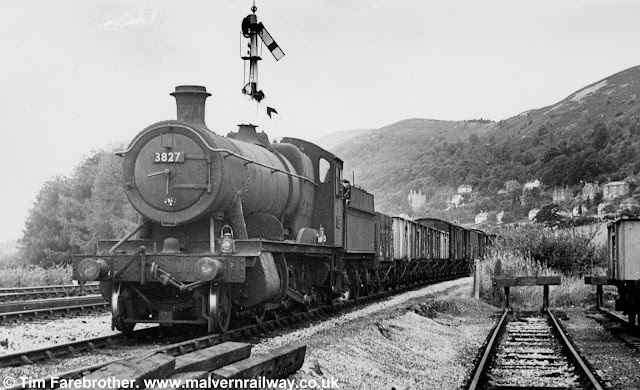 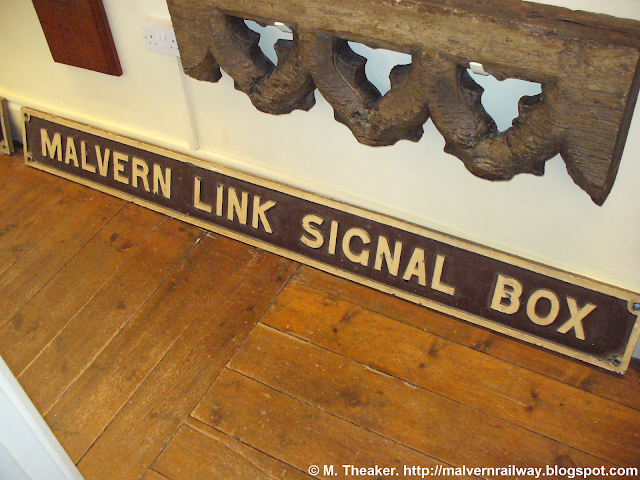 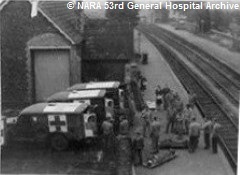 The role of the railways in bringing injured personnel to Malvern is also covered in some detail, and the authors have managed to dig out some fantastic pictures of both Malvern Hanley Road (LMS) and Malvern Wells (GWR) in their wartime role as a terminus for soldiers being transferred from ambulance trains to their new home. 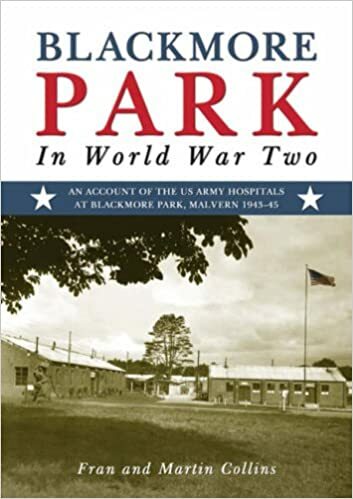 Frances and Martin Collins, Blackmore Park in World War Two (Studley: Brewin Books, 2008), 160pp. 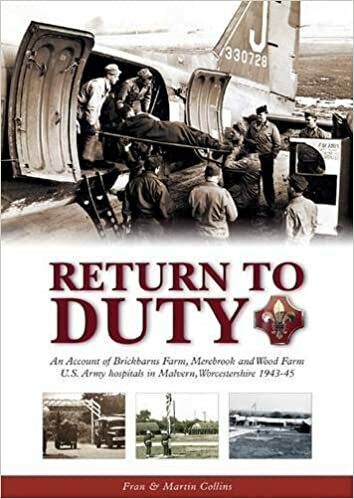 Frances and Martin Collins, Return to Duty: An Account of Brickbarns Farm, Merebrook and Wood Farm U.S. Army Hospitals in Malvern, Worcestershire 1943-45 (Studley: Brewin Books, 2010), 192pp. 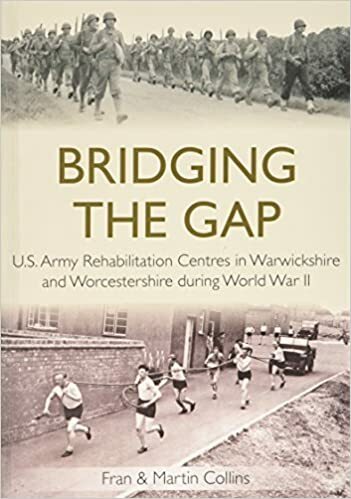 Frances and Martin Collins, Bridging the Gap: U.S. Army Rehabilitation Centres in Warwickshire and Worcestershire During World War II (Studley: Brewin Books, 2014), 166pp. 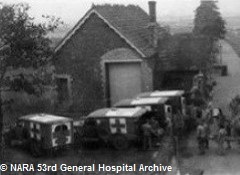 The following pictures come from the records of the 53rd General Hospital which was based in Malvern during the war. 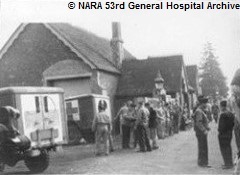 The records are held at the National Archives and Records Administration in Maryland. 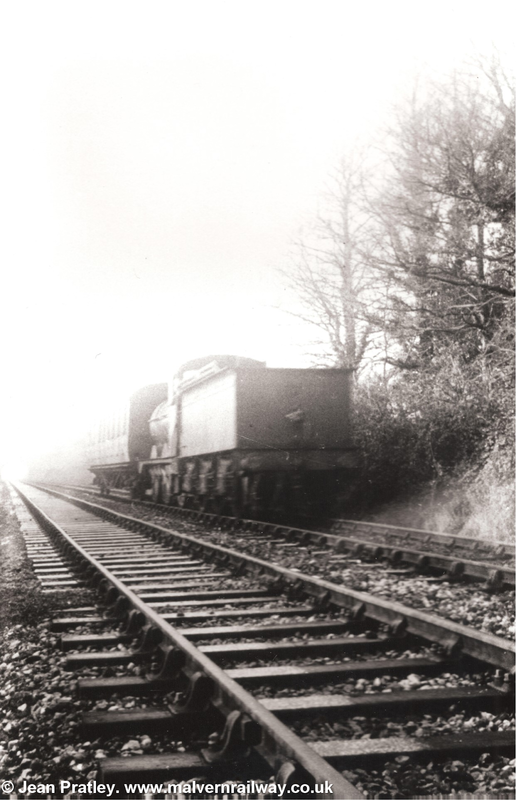 Apologies for the low quality of the smaller pictures - they are being shown in the resolution I was able to obtain initially and I'm working on getting some better quality scans. 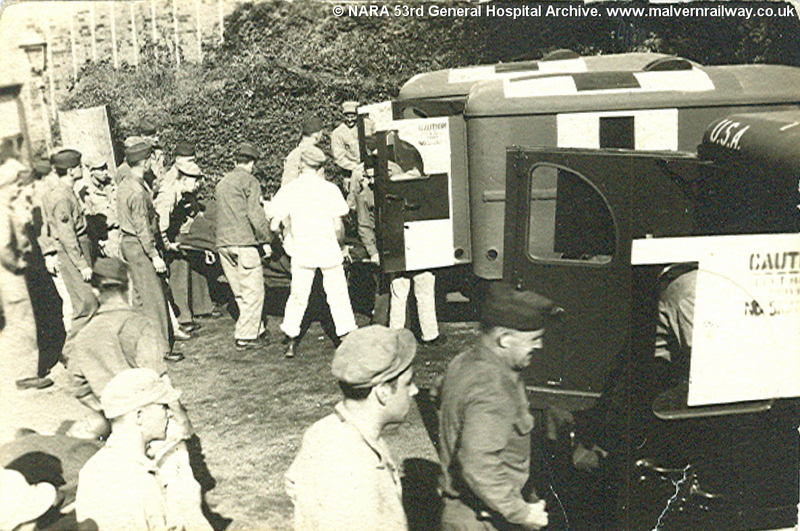 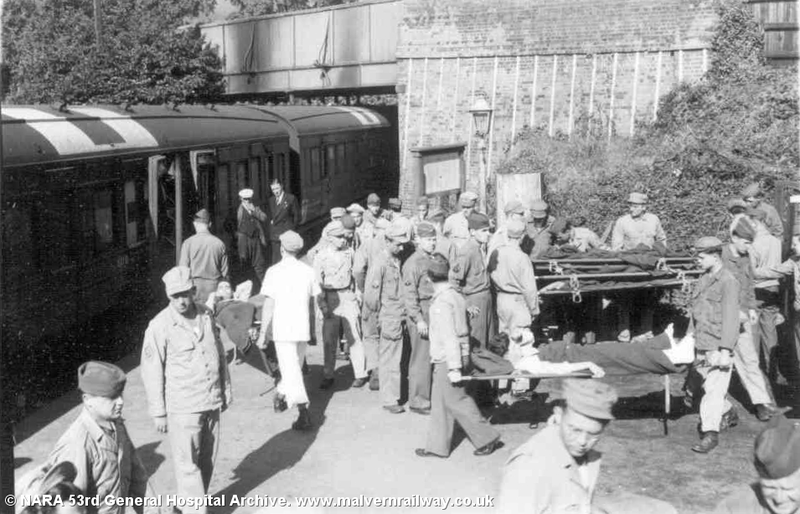 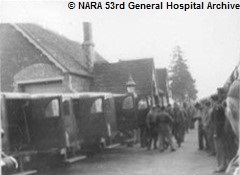 These next images show American servicemen alighting from hospital trains on the 'down' platform at Malvern Hanley Road before being loaded into motorised ambulances for the short trip to the general hospitals dotted around Malvern during the war. 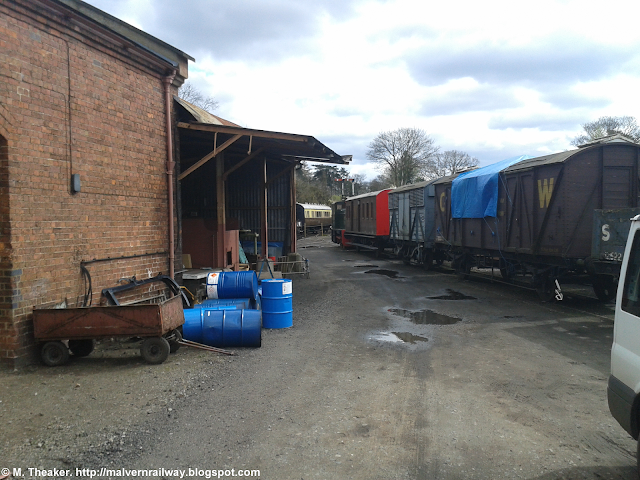 Pictures showing this siding in its entirety are rare, but I have managed to cobble together a few shots taken at Malvern Wells' old yard. 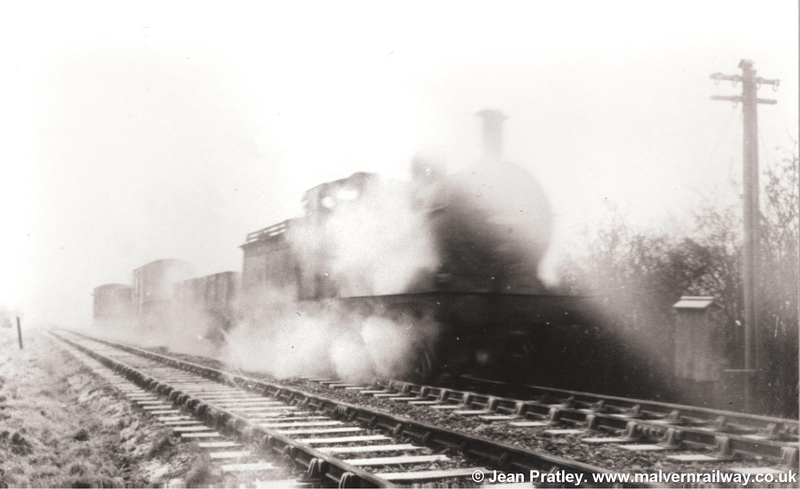 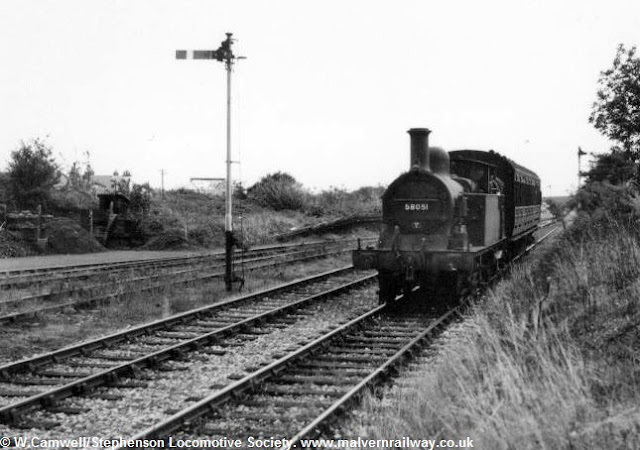 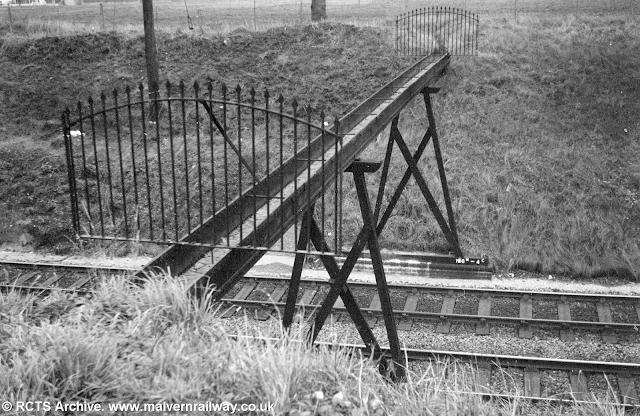 The first picture is the clearest, showing the wartime drop-off sidings which lay to the right of the goods loop (i.e. to the west, on the uphill side). 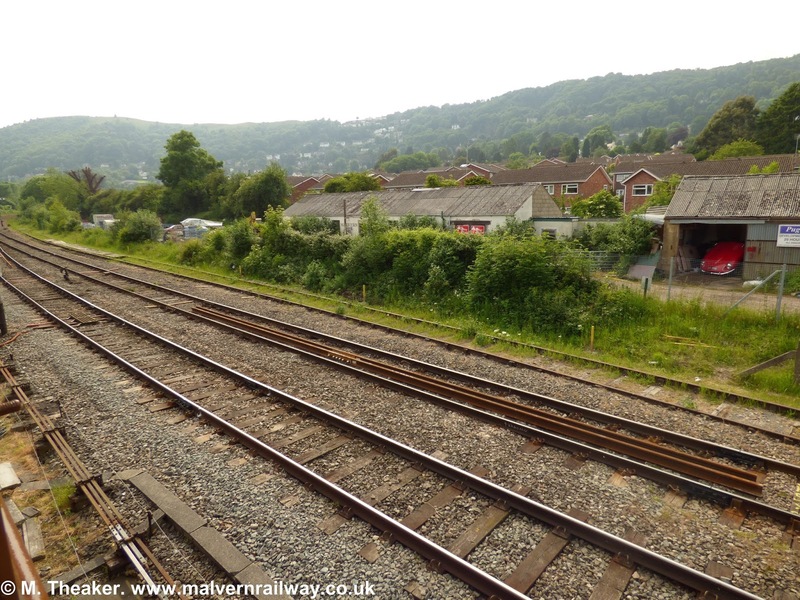 The second shot shows a train passing the end of the siding on the goods loop, while the third shows the reverse angle, with the points to the sidings clearly visible in the left of the picture. 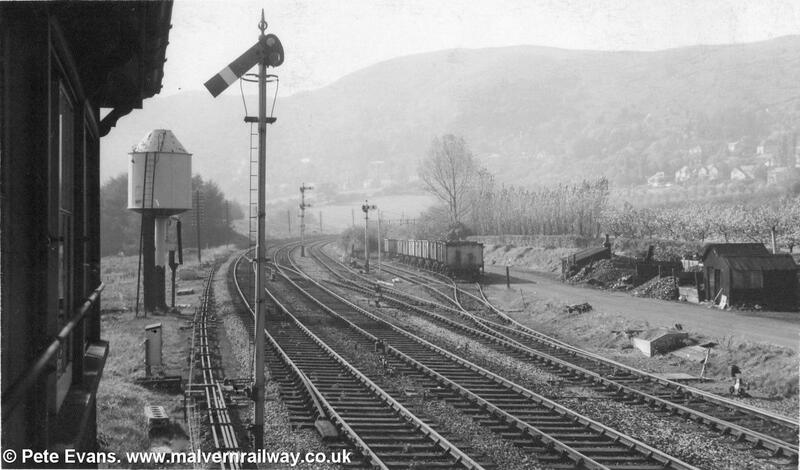 Robert's Pritchard's picture, meanwhile, shows what the site looked like by the mid-1960s when the sidings had been removed. 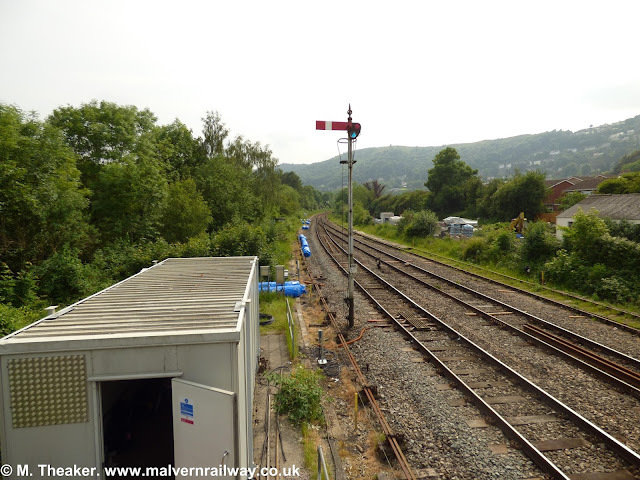 Finally, my two modern shots at the bottom show how the loop looked before the July 2016 engineering works at Malvern Wells, when it had been left in a very dilapidated condition for several years. As you can see, the wartime siding's former location is now covered by a hedge and the end of a private road. '7904 Malvern Wells with 15.15 Paddington to Hereford' 28th June 1965. 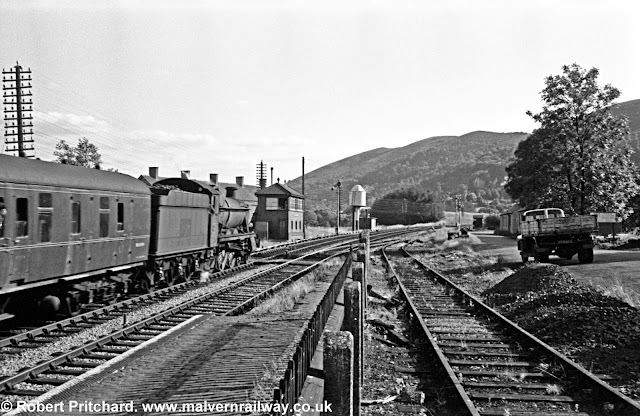 I'm going to use this week's blog post as an opportunity to put up a random assortment of pictures that I've collected from various sites around Malvern and Upton. These have been generously donated by various sources, and I'll be adding them to the main pages for each site. 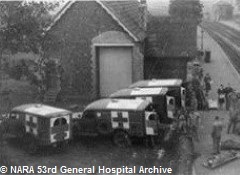 Thank you to all who contributed these pictures, and do keep sending in anything which might be useful in this project!